March organized by Baltimore-area students that started from Penn Station around 5.45 PM on April 28, 2015. Video taken from southwest corner of East Preston and Calvert Streets. 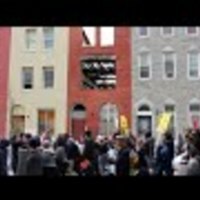 Filmed during Baltimore protests, probably in west Baltimore. 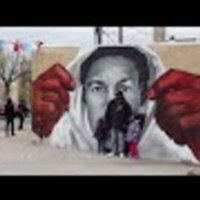 All Lives Matter, What do we do next Baltimore? Montage of a protest organized by students of Baltimore to march April 29, 2015 in response to Freddy Grey's death from Penn Station to City Hall. Baltimore Youth: "We Are Not Thugs"
"I love Baltimore, We want Peace"